"You will have the privilege to see and to participate in the most glorious and mightiest sweeping revival that has ever been known in Christian history!" Later, in 1961, God gave Rev. Tommy Hicks a vision of the continuation of that revival: a worldwide movement in which the "Awakening Giant"&-the body of Christ&-receives spiritual power and authority on such a scale as has not been seen since the book of Acts. 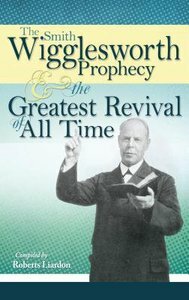 About "The Smith Wigglesworth Prophecy and the Greatest Revival of All Time"